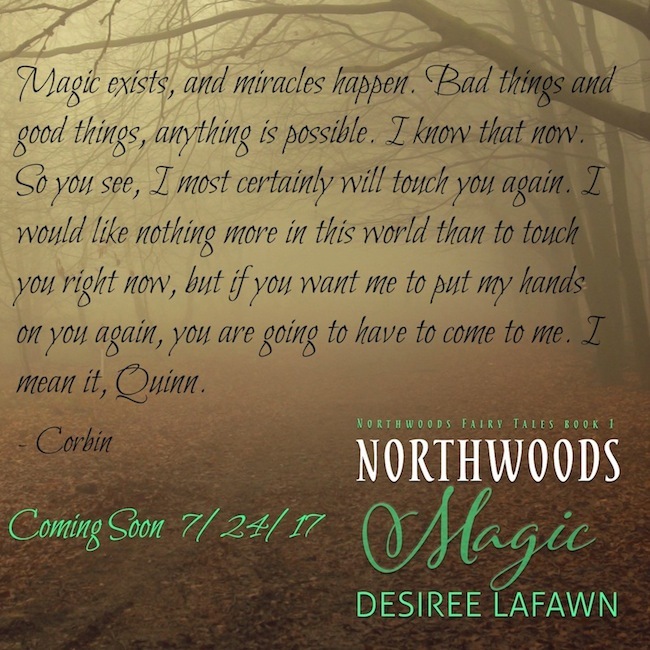 I absolutely adore the premise of this book, I am introducing to you today: Northwoods Magic by Desire Lafawn is an awesome paranormal romance novel, that starts with an accident that changes everything. Also, check out the giveaway for a chance to win a 25 Dollar Amazon gift card, at the end of the post! Best of luck to all who enter! Quinn Reynolds is desperate for answers. After a near fatal accident, Quinn’s life changes and she is suddenly plagued by dreams of ravens, magic, and a boy with copper-ringed eyes. Told by her doctors that she is delusional, Quinn travels to the Northwoods of Minnesota to find out the truth. But Quinn has another problem that she hasn’t shared. Not only does she dream of magic, she also possesses her own power as well and it scares the hell out of her. Corbin Olsen has been battling his own demons for the last ten years. After sacrificing everything to save Quinn’s life, she forgot about him completely. He’s thought of her constantly in the years she’s been gone, but nothing prepared him for the woman she has become. Although angry at her for leaving him, Corbin isn’t able to dismiss his need for her. But Corbin and Quinn are running out of time for a meaningful reunion, the real evil is back and hunting the prey that escaped them all those years ago. Quinn had a special book, a book that had been with her since she was a teenager. This was the notebook that she kept all of her dream drawings in. Sometimes she would add words to the sketches and sometimes she wouldn’t. There were hundreds of drawings in this book, some the size of a quarter, and some – after a particular bad night of dreaming – took up an entire page of hard angry charcoal strokes. That book was private, and Quinn kept it to herself. That was just for her. For so long she hadn’t been able to tell what was real and what was fantasy, thinking maybe she herself was just a figment of someone else’s imagination. Her sketchbook was Quinn’s way of knowing she was real. Maybe she had imagined seeing the things she saw, or knowing the things that she had forgotten, but she hadn’t fabricated drawing the pictures or writing the words. The pictures and words would always be there, permanently tattooed into the book. If she opened the pages and saw those things then she would know that in that very moment, she was present. She existed. She was. Desiree lives in Northwest Ohio with her husband, two children, and two rowdy cats. She is a craft addicted, roller derby skating amateur foody who loves to enjoy a glass of chardonnay with a side of whatever snack the kids left untouched in the pantry, most likely goldfish crackers. 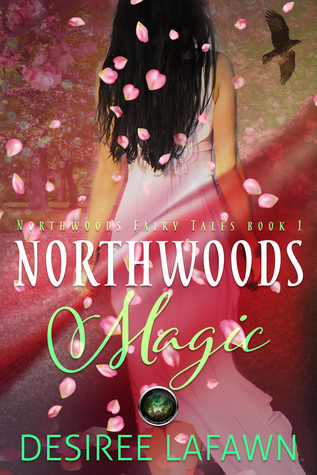 She writes contemporary and fantasy/paranormal romance because fairy tales are where it’s at. She loves the pull of magic, the light and the dark of it, as well as the effort the characters must go through to reach their happily ever after.